The 10th of April 1968 is a day that many will never forget. I was serving as a Radio Officer aboard RFA Pearleaf. We had left Portland five days earlier and were bound for the Persian Gulf via the Cape. The sea was like glass; you could not imagine a more perfect evening to be at sea. I wandered from the bridge wing into the radio room, tuned the Atalanta receiver to the BBC World Service and was shocked to hear the newsreader give the following story. Fifty-one1 people have died after a ferry capsized in Wellington Harbour, New Zealand during one of the worst storms ever to hit the country. The TEV Wahine, carrying 610 passengers and 125 crew, ran aground as it entered the harbour in the early hours of this morning. Many passengers drowned or were dashed against the rocks as they abandoned ship and several life-rafts capsized in the raging seas. Rescue efforts were severely hampered as coastguards battled against 18ft waves to reach the stricken vessel. The tragedy began in the early hours of this morning as a warm tropical front met a cold southerly storm in Cook Strait between the South Island and the North Island. This created violent seas and winds of more than 99 miles per hour on the approach to Wellington Harbour. As the Wahine entered the harbour it was dashed into rocks on Barrett’s Reef and the vessel’s radar system was incapacitated. Captain Hector Robinson immediately dropped both the ship’s anchors in an attempt to steady the ship, but she was dragged through the harbour towards Seatoun. The ferry, listing from side to side, was battered by heavy seas for several hours before rescuers were able to reach her. The order to abandon ship was not given until about 1330hrs, by which time much of the lower deck of the boat was flooded. 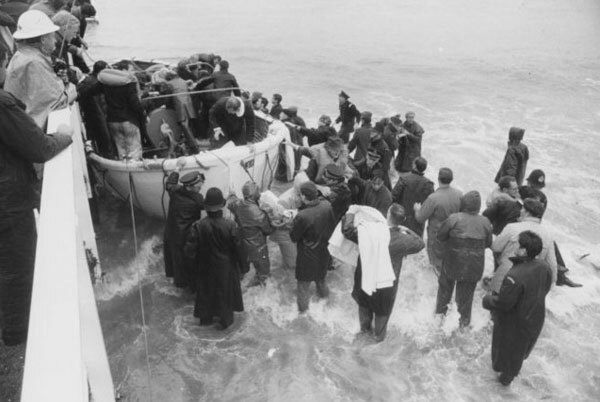 Hundreds of people managed to make their way to the shore where they were rescued by local volunteers. A base was set up at Muritai School where survivors were given drinks, food and blankets. Most of those who perished were elderly or infirm. In total, 44 passengers, six crew and one stowaway died. The abandoned ship finally sank to the seabed at about 1430hrs after rolling completely onto her starboard side. When the ferry had left Lyttelton harbour on New Zealand’s South Island at 2040hrs last night weather conditions were good. Although there had been weather warnings there had been no indication that the storms would be so severe. Thirty-seven years later, I attempted to put together the story of the role of the vessel’s Radio Officer on that fateful short voyage. Several events in this article are as told in The Wahine Disaster by Max Lambert and Jim Hartley (Reed 1969). Another rich source of information has been The Report of the Court of Inquiry Into the Loss of the Wahine. I’m also grateful to several former Radio Officers and former Coast Station Operators who have been of assistance in researching this article. It was the 9th of April 1968. The pride of the New Zealand merchant fleet, the Union Steam Ship Company vessel TEV Wahine – ZMGW, was berthed at the South Island port of Lyttleton preparing for the regular overnight crossing to Wellington. Wahine made this overnight trip six times a week, three in each direction. 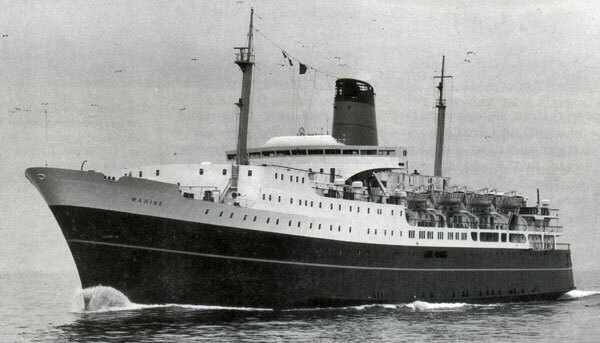 The vessel was a large roll-on roll-off ferry of 8948 gross tons and carried 924 berthed passengers plus vehicles. She was less than two years old and the steam driven turbo-electric engines gave her a maximum speed of over 21 knots. NAVIGATION WARNING 159: SEVERE TROPICAL DEPRESSION CENTRED 50 MILES EAST OF NORTH CAPE EXPECTED TO PASS CLOSE TO NORTH COROMANDEL – AUCKLAND AND THROUGH TO TAUPO – BAY OF PLENTY AREA. BY NOON 10TH WILL BE IN HAWKES BAY AREA. WINDS EXPECTED OVER 40 KNOTS WITHIN 150 MILES OF CENTRE AND HIGHER CLOSE TO CENTRE WITH HEAVY RAIN. STORM WARNING. SEVERE TROPICAL DEPRESSION CENTRAL PRESSURE BELOW 975MB CENTRED AT 090600Z ABOUT 60 MILES EAST OF NORTH CAPE IS MOVING SOUTHSOUTHEAST 20 KNOTS. POSITION AND MOVEMENT FAIR. WINDS OVER 50 KNOTS PREVAIL WITHIN 150 MILES OF CENTRE OVER 60 KNOTS WITHIN 100 MILES OF CENTRE AND OVER 35 KNOTS WITHIN 300 MILES OF CENTRE. COMPLEX TROUGH FROM FORTY SOUTH ONE SEVENTY FIVE EAST TO FIFTY SOUTH ONE SEVENTY FIVE EAST MOVING EAST 25 KNOTS. NORTHERLY GALES PREVAIL IN AREA EAST OF TROUGH WITHIN 300 MILES OF TROUGH LINE. FORECAST FOR AREAS WITHIN 300 MILES OF NEW ZEALAND COAST UNTIL 100900Z. FORECAST FOR CENTRAL AREA. STRONG NORTHERLIES CHANGING TO SOUTHERLY AFTER MIDNIGHT TONIGHT THE SOUTHERLIES GRADUALLY INCREASING TO GALE OR STORM FROM TOMORROW MORNING. RAIN AND POOR VISIBILITY. Bob typed this message and passed it to the bridge, where it was read by the Officer of the Watch and by the Master, Captain Robertson. A short time later, at 2043, the ship left port and Bob sent the customary QTO (“I am leaving port”) to Wellington Radio ZLW on 500 kHz radiotelegraph. Thirty minutes later TEV Wahine, heading north, passed TEV Maori, the other Union Steam Ship Company ferry employed on the Wellington to Lyttleton run. The ships exchanged weather reports. 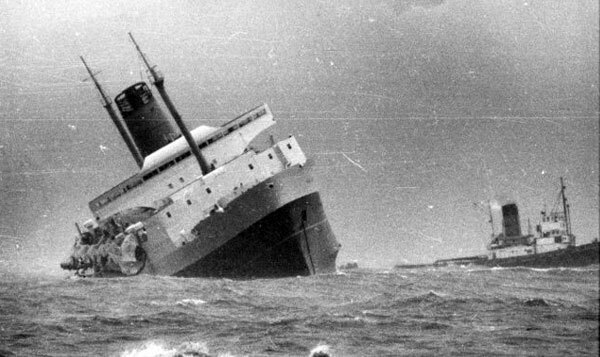 Bob was usually off watch at 2300, but the Japanese ship Masa Maru was in distress off the east coast of the North Island. The Shell coastal tanker Maurea closed with the Japanese ship at about 2340 and at 2350 told Auckland Radio ZLD that she would stand by until Masa Maru had anchored. With the situation under control, and normal traffic resuming, Bob switched on and tested the automatic alarm receiver and went to his cabin. Bob was 52 years old and was a highly experienced Radio Officer who had had a varied and exciting career. In the early days of WWII he had been a ‘coast watcher’ stationed on Raoul Island. Bob’s hobbies were weight lifting and high diving. Colleagues say that when stationed at Raoul he used to dive off the high cliffs into the ocean. From Raoul, Bob was appointed as Acting Superintendent at Rarotonga Radio. On arrival at Rarotonga he asked one of the local staff members to take his luggage up to the Superintendent’s house. After a struggle, the Rarotongan reported that he couldn’t lift the dumbbells. Bob just nodded and after finishing his conversation with the welcoming party, he nonchalantly strolled over to the dumbbells and with apparent ease walked into the house with one in each hand. 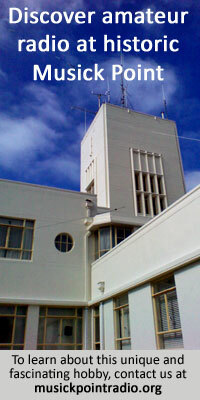 On returning to New Zealand Bob was appointed to Auckland Radio ZLD at Musick Point, where he was a specialist in interception of Katakana Morse code messages from the Japanese forces. Next, he was transferred to Suva Radio ZGN where he was issued with an army battledress uniform, a number and a rank. This was because the Japanese were beheading any captured civilian coast watchers. 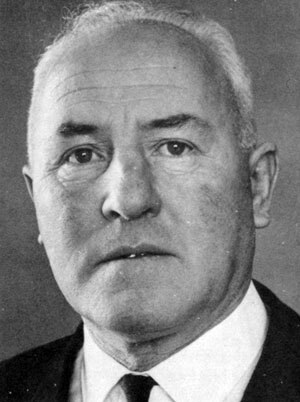 After the war Bob had a variety of jobs, including sailing as a Radio Officer, working at Wellington Radio ZLW, working for the Radio Section of the Post Office and even a spell owning his own truck and taking tourists to Mount Ruapehu. On the morning of 10 April, Bob was back in the radio room well before dawn. At 0500 he went to the bridge and using the VHF on the port bridge wing he called the Wellington Harbour Board pilot station on Beacon Hill. Beacon Hill, which overlooks the harbour entrance, reported that there was a southerly of 50 knots, gusting to 60 knots at Pipitea Wharf. A tug had been called out for another ship to be moved in the harbour, and would be available if Wahine required it for berthing. Chief Officer Luly, who was the Officer of the Watch, heard this report over the VHF loudspeaker. Bob went to the radio room and typed up the substance of this message which was delivered to Captain Robertson when he was woken by his steward at 0545. At that time Wellington Radio ZLW was not equipped with VHF. At 0620 Wahine was being navigated through the entrance of Wellington harbour and Chief Officer Luly called Bob to the bridge to try and make sense of the radar. Bob found the screen murky and confused but detected a faint line visible dead ahead and another on the southwest quarter. The picture was even more confused when he switched to low range and the 24-mile range. Switching back to 6-mile range he again saw the faint line. He tried to estimate how distant it was with the range rings, but it was hopeless. From the bridge windows he could see the scanner still rotating. Normally it did 24 revolutions a minute, dropping to 22 in winds of 80 knots. On this occasion its speed was changing to such an extent that Bob estimated the winds at 100 knots or more. Bob put the radar failure down to water entering the waveguide, the scanner speed being a variable factor, and possible fluctuations in the AC power supply. The time was 0628 and, unable to do anything more, he switched on the radio direction-finder and returned to the radio room. The direction-finder was not used; the Captain later said that he would take off his hat to any man who could use the equipment in the conditions Wahine encountered. ZLW DE ZMGW = GOING ASHORE = THINK NEAR HEADS. ZLW replied in the affirmative. The first to acknowledge the SOS, at 0708, was the Union Company freighter Waikare ZMCT. She was off the west coast of the South Island bound for Wellington from Melbourne. Listening in to the exchanges on the radio, Bob had no inkling that his next trip to sea would be aboard the Waikare. At 0801 ZLW asked Wahine to report on the situation. Bob keyed the reply that the vessel was clear of the reef and was not breaking up and at 0822 he advised ZLW that the vessel was slowly drifting up the harbour barely clear of Fort Dorset. A further message at 0831 advised ZLW that Wahine was still drifting without power. At 0940 Captain Suckling, the Harbourmaster, called Wahine on VHF and advised Captain Robertson to ride out the gale in the present position. At 1101 Bob keyed a message to ZLW to advise that the ship was quite safe and was about to be made fast to the tug Tapuhi. We are abandoning ship, we are abandoning ship. On the same channel he ordered the tug Tapuhi to forget the tow wire and begin to save lives, and asked for the roll-on roll-off ferry Aramoana to be sent out. As he talked, Purser Clare made the Abandon-Ship announcement over the public address system. Bob, being intent on his work in the radio room, was probably the only man on the ship who did not know it was being abandoned. He knew the tug had been trying to get a line aboard, and he assumed that the operation had succeeded and that passengers were to be off-loaded. He was sadly disillusioned a little later. Deputy Harbourmaster Captain Galloway told Bob to leave the radio room but Bob asked if he could advise ZLW first. Bob had a problem: he didn’t have Captain Robertson’s permission to send a distress message, so he preceded his message with the urgency signal. The staff at ZLW were shocked. In a television interview in 1993, the operator manning the 500 kHz desk said that when that message came through there was an air of disbelief among the coast radio station staff. Wahine was listing about 45 to 50 degrees. Bob hung on to the Marconi Oceanspan transmitter. His message was received by ZLW, but he was told the signals were weak and chopped up. Out the window he could see the aerial was brushing a steel halyard and earthing. He stuffed the radio log into a plastic bag. Then the ferry Aramoana called as it left its berth. Bob urged the ferry to hurry. Bob then switched on the Automatic Keying Device, but after a few seconds smoke puffed from the device. He reverted to manual keying, attempting to work the transmitter with his left hand while he hung on with his right. There was no response from the transmitter. ZLW noted that Wahine’s transmission ended at 1344. It was time for Bob to leave. As he lunged for the doorway he dropped the plastic bag containing the log, which skidded out of sight (a diver later recovered it). When Bob reached the bridge, it was deserted. He spotted Captain Robertson on B Deck. Intending to join him, Bob climbed down the ladders to the same level, but then became aware of three women and a man emerging, very late, from the passenger accommodation. Bob turned to help the seaman accompanying them. The passengers were herded into a raft and Bob and the seaman followed them. They were joined by Purser Clare, who had arrived from A Deck. A rope attached the liferaft to the ship. Bob always carried a penknife in his pockets – he had carried the same knife for “years and years” – and he used it to cut the painter and prevent the sinking ship dragging the liferaft down with it. The raft drifted slowly down the side of the ship and was in the right spot at the right time to pick up a woman whose legs had been broken. After seeing her lifted over the side, 2nd Officer Shanks shouted to Chief Officer Luly that as far as he could see all passengers were off the ship. As he started to go down a ladder to C Deck he fell, crashing flat on to his back. His left leg buckled under him, breaking near the knee. Shanks flopped over the rail into the water, and a few seconds later he was aboard the same raft as Bob and the injured woman. The raft started drifting towards the Eastbourne side of the harbour. The wind had died away but the seas were huge and it was raining. The RNZVR launch Manga approached Bob’s liferaft and started to rescue some of those aboard. Before all of them could be transferred, however, the Manga had to cast off the liferaft, as the large ferry Aramoana was drifting down on them. The liferaft drifted closer to the rocky shore and was then approached by the tug Taioma. More occupants of the liferaft were successfully rescued but Bob found it impossible to move the injured woman. She was a large lady who had a fracture of one leg and a shattered ankle of the other. Bob and Bill Lahina, a Samoan engine room greaser, elected to stay in the liferaft with the woman rather than transfer to Taioma. Bob cast off from Taioma and the raft continued to drift towards the menacing rocky coastline. A rescue yacht and several liferafts had already come to grief in the surf. When the liferaft was very close to the rocks, the 30-foot launch Tina, skippered by Barney Daniel, came alongside and the crew of Tina were able to transfer the injured woman into the launch’s cabin. Bob Lyver and Bill Lahina were also rescued; Bill was so exhausted that he lay motionless on the deck of the Tina. Barney Daniel and his crew continued searching for survivors and found several more. 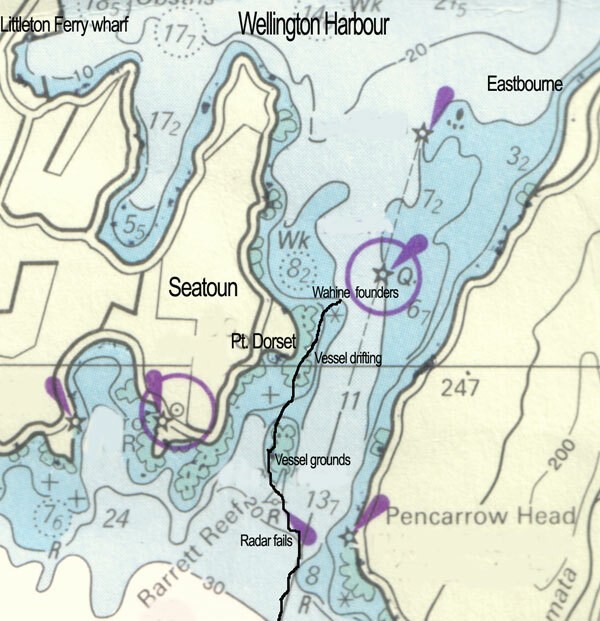 Sometime between 1530 and 1600 Tina left the search area and headed across the harbour entrance to Seatoun wharf. A Union Steam Ship Company clerk once told me that Bob walked away from the wharf and caught a bus to his home. After getting changed into dry clothing, Bob caught another bus into the city and went down to the Union Steamship Company’s offices in Customhouse Quay. The company employees immediately notified the authorities that Robert Lyver was safe and well. There has been much discussion over the years as to the use of the distress call SOS during this disaster. When Bob was called before the court of inquiry he was very nervous. He mentioned to a fellow radio officer “If the Master of a ship ever asks you to send a distress message, tell him to put it in writing”. Bob had been in a difficult situation – events happening very very fast – the first “distress” message was authorized by the Chief Officer and the final one by the Assistant Harbour Master. Radio Officer Lyver of the Wahine not only left the impression that he rendered service with calm unhurried efficiency throughout the events of the day but eventually, finding himself on a raft on which there was an injured woman who at that stage could not be moved, refused to move from the raft and elected to stay with the woman at a time when his prospects were very doubtful. It is good to be able to record that both were later saved. Some years later Bob was an R/O aboard a vessel bound for China. During the trip he sustained injuries from a fall and was admitted in a Chinese hospital where he found that he was unable to communicate with any of the staff. He eventually discovered a telephone and managed to contact relatives in New Zealand, who travelled to China to assist him in getting home. Bob never went to sea again, but lived out the rest of his life happily with his family in New Zealand. 1. The death toll was revised from 51 to 52 in 1991 and to 53 in 2009.